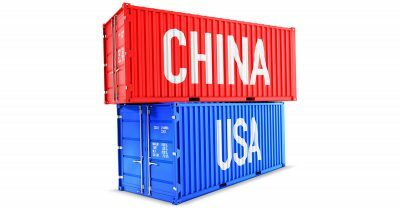 In early April, the Trump regime appeared heading toward trade war with China – a scheme aiming to harm Beijing economically, unrelated to producing more domestic jobs if pursued. Fewer imports from China would increase them from other low-wage countries. US manufacturing jobs created are increasingly performed by robots in many cases. Beijing wants cooperative political, economic and trade relations with Washington, unwilling to compromise its growth strategy. At the same time, lead Beijing trade negotiator/Vice Premier Liu said it’ll take time to resolve differences between both countries. In 2017, China’s trade surplus with America was a record-high $375 billion. Beijing agreed to increase purchases of US agricultural and energy products – details to be discussed in future talks. Trade is reciprocal. China wants access to US high-tech products, a sticking point in bilateral relations, certain US products off-limits to Chinese buyers. Beijing wants this policy ended. Both countries agreed to avoid a trade war. Washington proved countless times it can never be trusted, its promises most often proving hollow. The Trump regime also said it’ll restrict Chinese investment in America, along with limiting access to US technology by its companies and investors – restrictions to be announced June 30. China is an economic powerhouse, a US strategic political, economic and military rival. Along with possible US-initiated trade war, sanctions war could follow much like Washington’s policy against Russia – the unacceptable way it treats other sovereign independent states. Separately, the Trump regime imposed tariffs on EU, Canadian and Mexican steel and aluminum – 25% on former products, 10% on latter ones, effective midnight May 31. Brussels pledged to retaliate with 25% tariffs on US motorcycles, jeans, cigarettes, bourbon whiskey, cranberry juice, peanut butter, and possibly other products. Trade wars are hugely counterproductive, assuring losers, not winners. It’s unclear how things will develop in the weeks and months ahead – especially for the world economy if things go too far.